I honestly can't begin to tell you how much I love Dee Henderson as an author. When Family Christian offered this book for review, I couldn't type fast enough to do get on the list! I started reading Dee's books years ago, and became enthralled with her writing! For me, Dee is an author who puts me on the edge of my seat, and occasionally skimming the book I'm reading just to know certain things. Don't harass me! lol I can't handle the suspense sometimes! I adore her characters, and she writes them with such strength. Even the victims have so much depth and realness to them. For Traces of Guilt, the read is introduced to a large cast. Not every author has the ability to develop a large group of people in one novel, yet Dee does it seamlessly! I'm glad it's a series, because I'm already invested in Evie! When Evie arrives in Carin, Illinois, it's to help launch a new task force dedicated to reexamining unsolved crimes across the state. 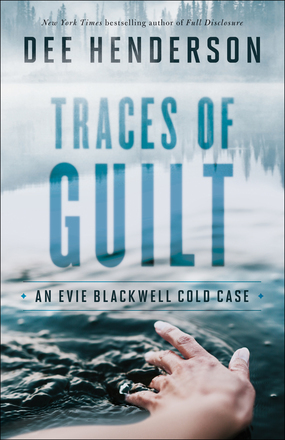 Spearheading this trial run, Evie will work with the sheriff's department on a couple of its most troubling missing-persons cases. 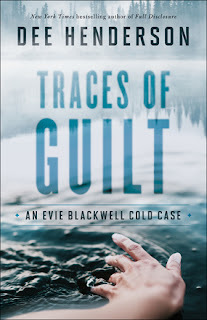 As she reexamines old evidence to pull out a few tenuous new leads, she unearths a surprising connection...possibly to a third cold case. Evie's determined to solve the cases before she leaves Carin County, and Sheriff Thane, along with his family, will be key to those answers. Dee's books are the kind where I go to bed thinking about the characters and what they might face in the next chapters I read. I go through my day, and imagine what the ending might be like. Each of the Thane men brings a great quality to the story. They each have their own investment in their intertwining story lines, yet care deeply about how what they are doing affects everyone else. I really appreciate the strong women characters in this book of Evie and Ann. Even the Thane boys' mom is well loved for her kindness and wisdom. Evie makes quite the entrance into her storyline! Ann is an amazing strength to everyone in this book, and I love that quality in people. She knows what everyone needs. I'd have to say the same about Gabriel Thane. He definitely makes a great sheriff, and I think it's great how the torch was passed on to him by his father. They tackle a really tough subject in this story, and I appreciate that Dee Henderson doesn't shy away from what evil goes on in our world, but shows there's a God who overcomes, and that there are also people in the world who will help pick up the pieces. Once again, Dee Henderson has written a novel that will have a forever home on my bookshelf! You can read an excerpt and get sucked in just like I did! That sounds like a great book, especially if you're thinking about it when you're not reading it. I love books like that, the ones you can't wait to read! Great review.